The Ludwig’s Church is Saarbrücken’s landmark. Alongside the Church of Our Lady in Dresden and the “Michel“ in Hamburg, is is one of Germany’s most important Protestant Baroque churches. 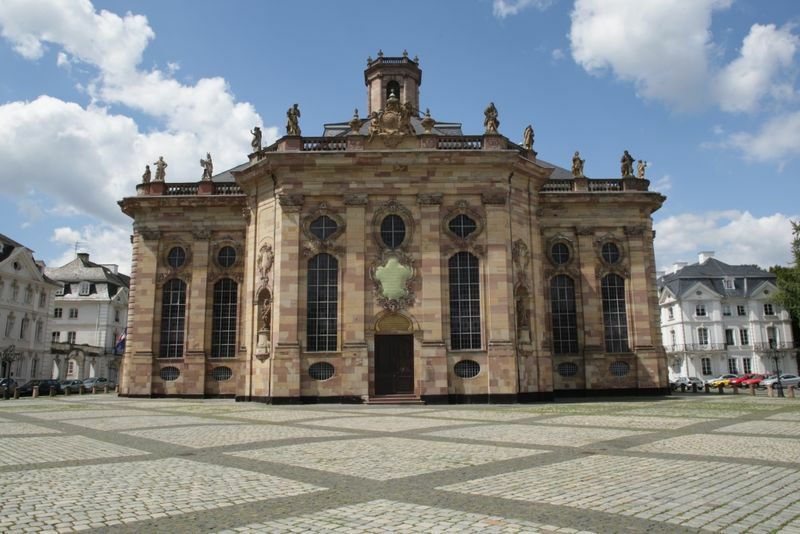 The church was built between 1762 and 1775 in view of the castle in Saarbrücken and is regarded as the crowning of Baroque master builder Friedrich Joachim Stengel’s life work. As one of the country’s most famous Baroque churches, it is at the core of a „Place Royal“ architecture and forms a grand Baroque ensemble together with the nearby Palais for the court’s civil servants and the almshouse, orphanage, jail and workhouse.The whole complex was rebuilt after World War II.